The Japanese national championships just ended resulted in the squad for the Olympic team of the Rising Sun which will leave for Sochi on the occasion of the Olympic Games. Nobunari Oda, who failed to earn his place in the team, has publicly announced that it will soon end his racing career. Oda has chosen the final gala of the Japanese leagues to give a heartfelt announcement of his retirement from competitive skating, adding that it will participate in the Four Continents Championships for which it was designated, as it intends to immediately make room for the new generations. The sample did not fail to remember'' the importance of support from fans, who warmly thanked. '' S announcement was followed by a hug heard from several members of the Japanese team. In lieu of Nobunari Oda, Takahiko Walls has been appointed for the race of the Four Continents. 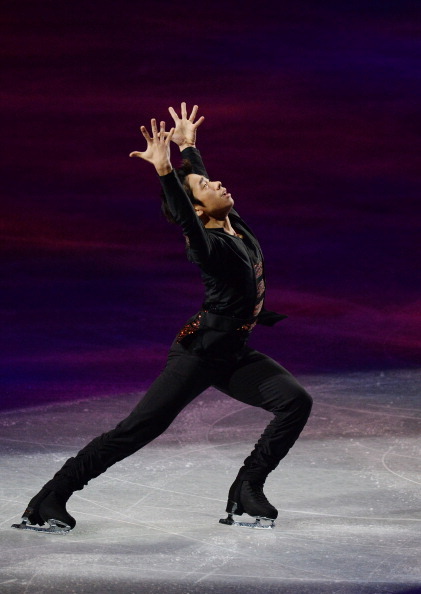 - 2013 Medalist on Ice Finale & Nobunari Oda announced his retirement.